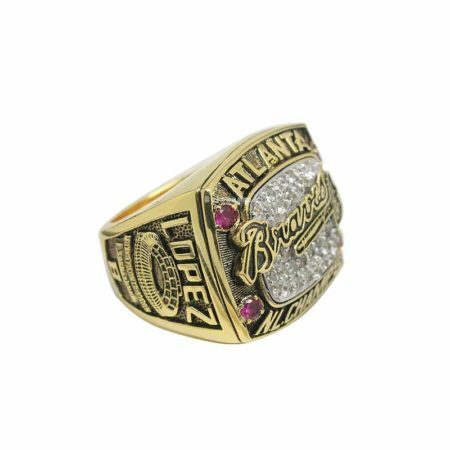 1992 Atlanta Braves NL Championship Ring is the second ALCS Rings that Braves won in the consecutive year.Thanks to the Pitching coach Leo Mazzone ,Braves young pitchers Tom Glavine, Steve Avery, and John Smoltz continued to make great record and recognized as the best young pitchers in the league in the coming season. 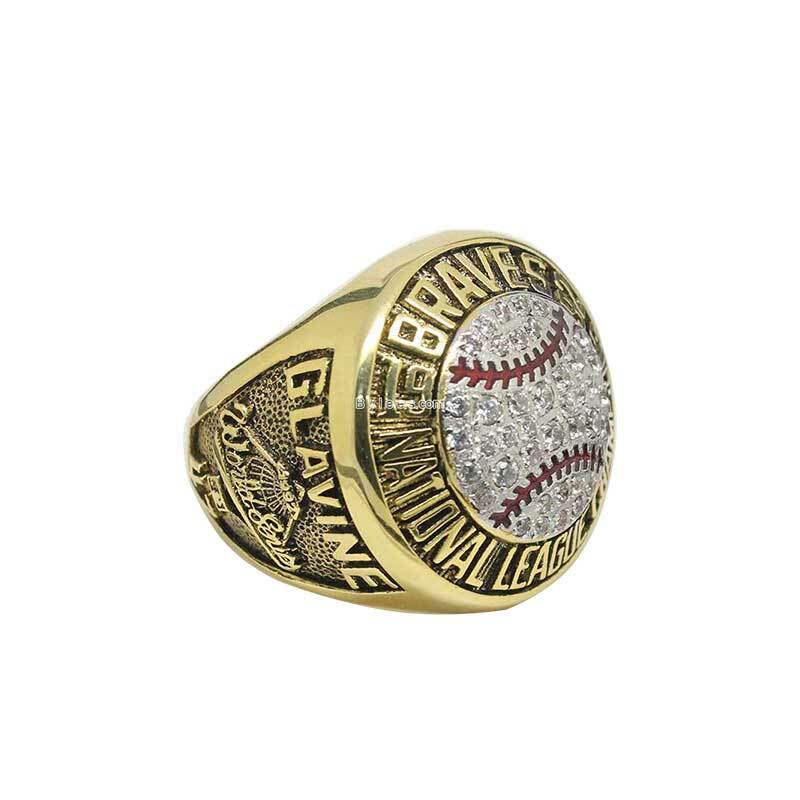 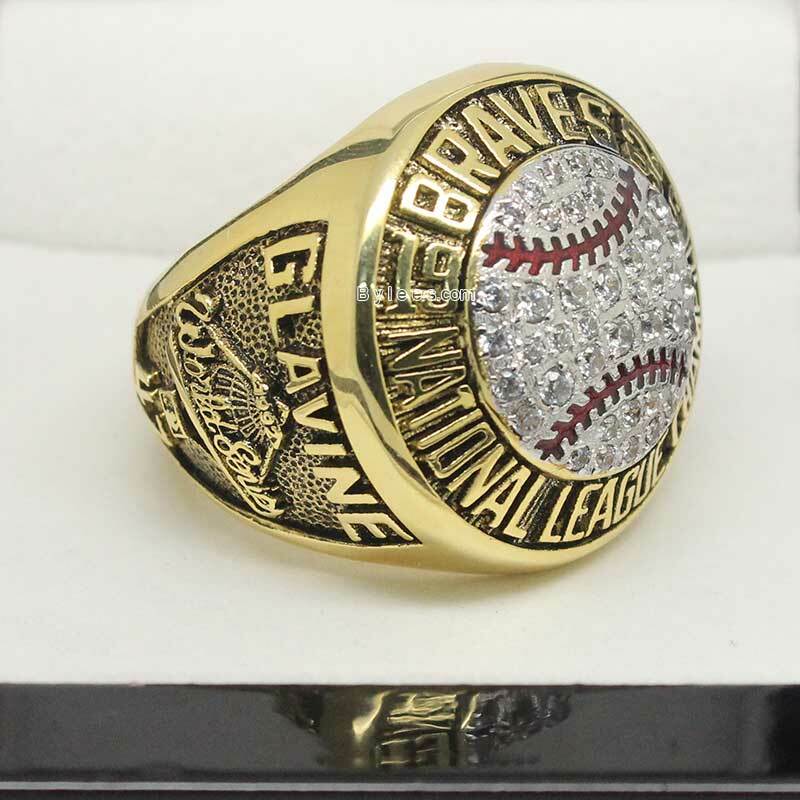 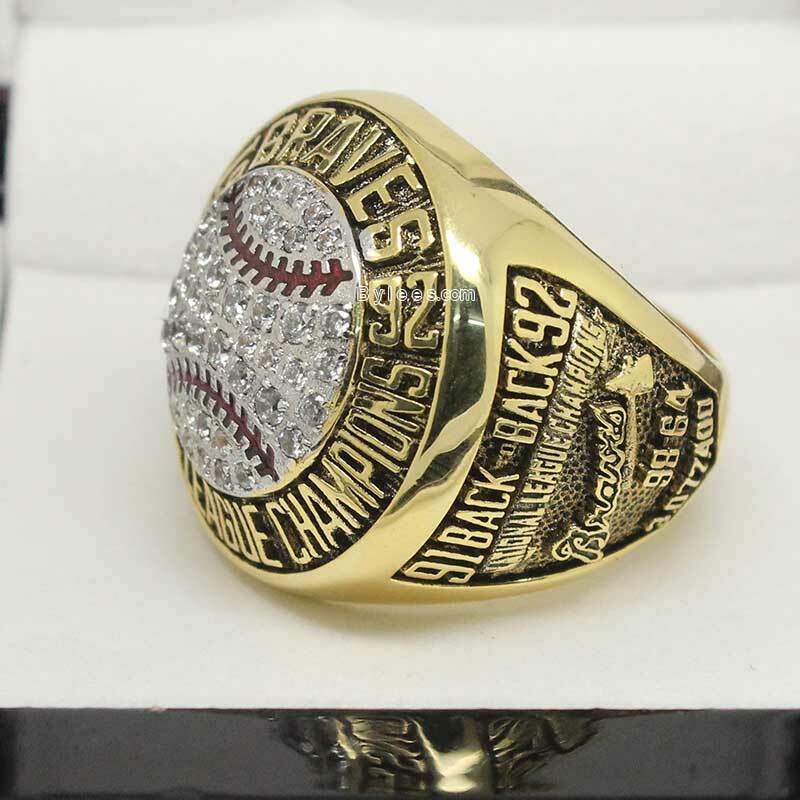 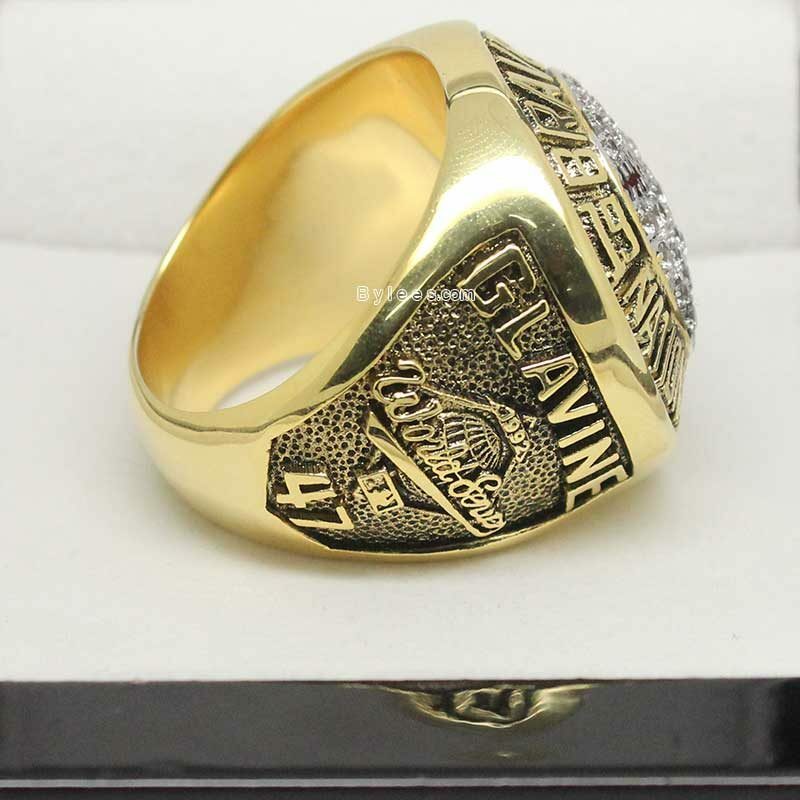 Glavine was the league MVP and the version here is Tom Glavine Championship ring. 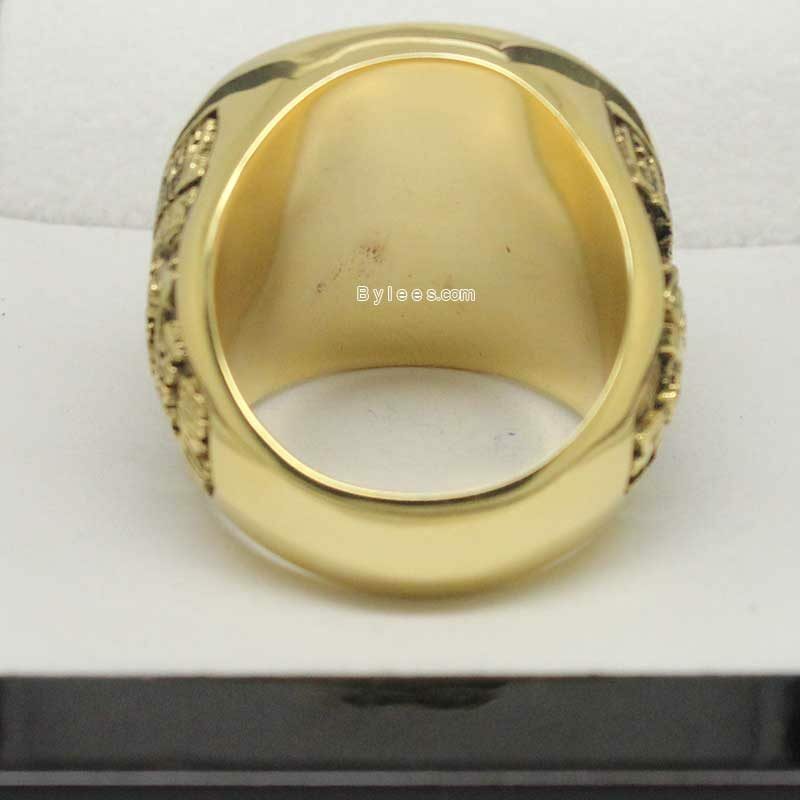 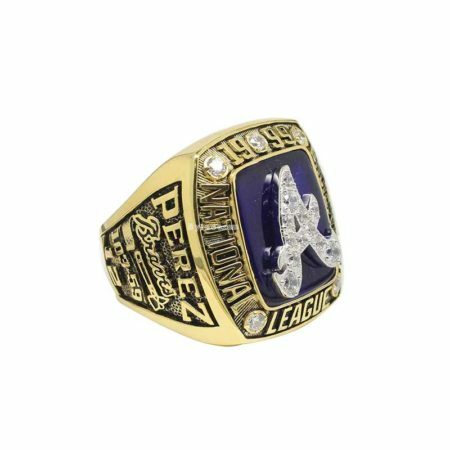 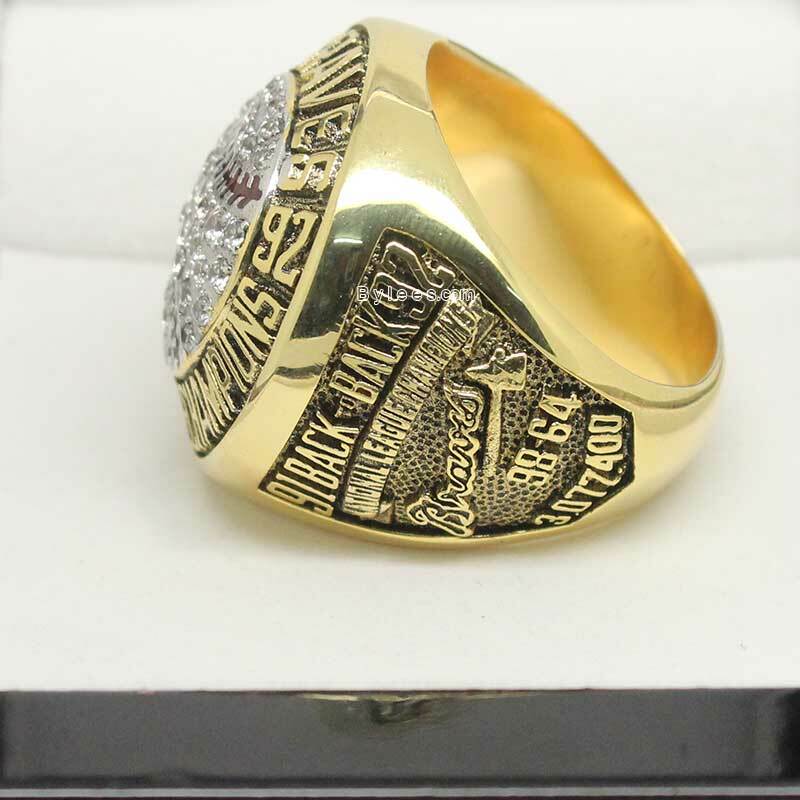 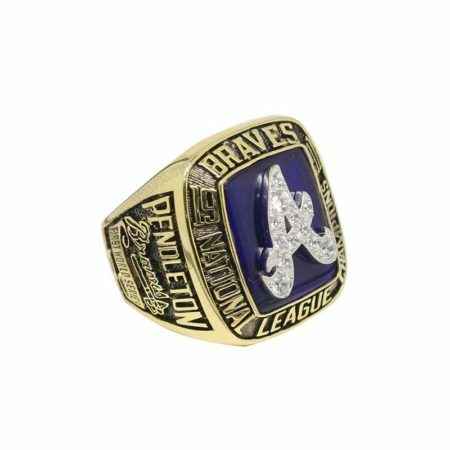 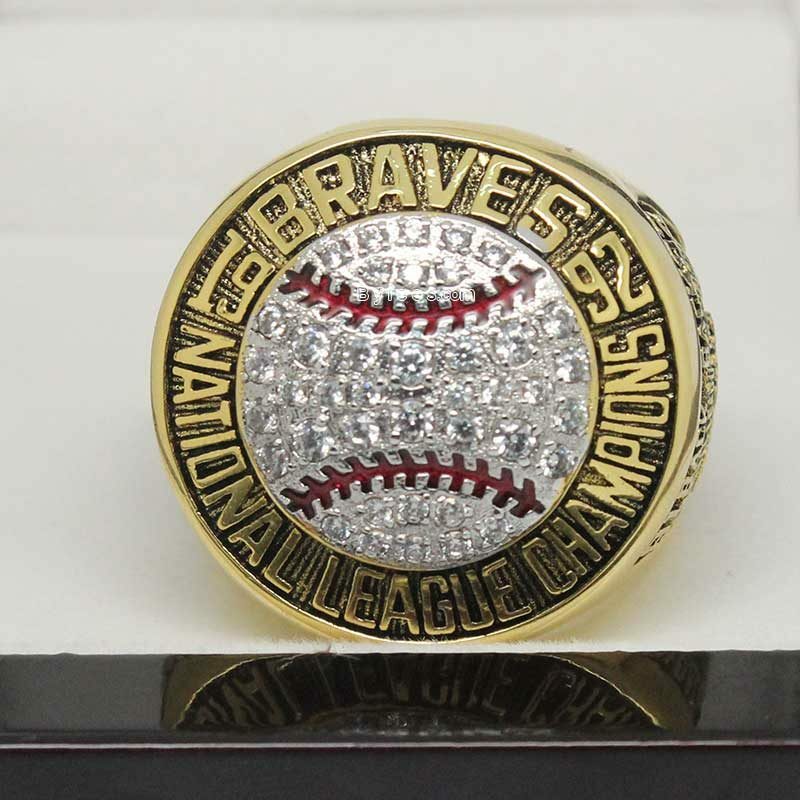 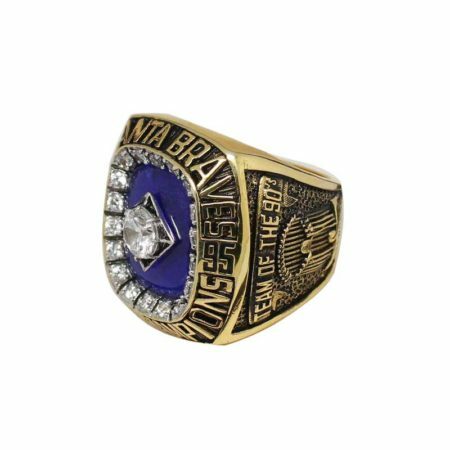 Intead of the team logo, A baseball icon was engraved to the top of the 1992 AL Pennant Ring,which made the Braves 1992 AL Championship ring very unique and special.